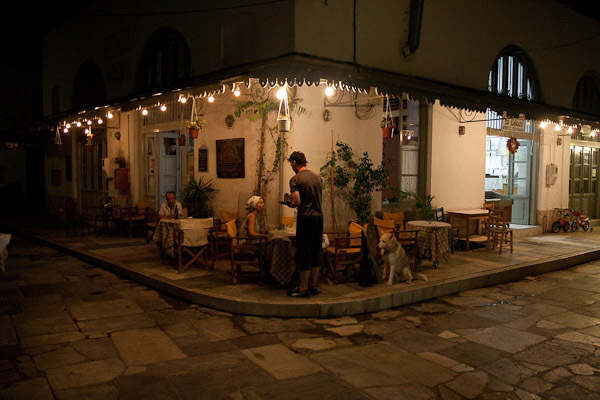 Traveling in Greece – Hydra – Part I » Here, Peloponnese, Hydra, Once, Kaminia, Last » tobias cooks! In the summer months it is wise to leave the city and seek refuge in one of the countless islands. There you can cool off having a swim, being near the sea and enjoying the warm summer weather. I have chosen Hydra to do so. 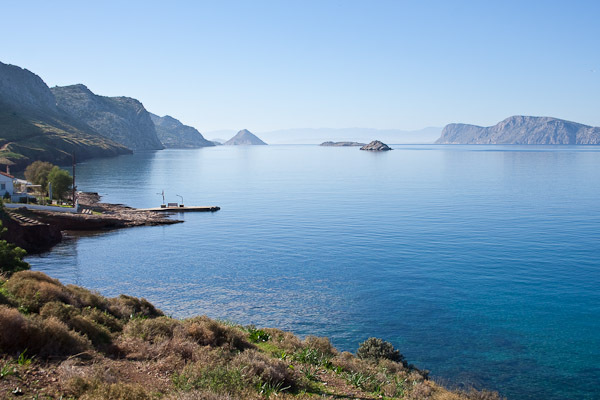 The island is not far from buzzing Athens, yet it stands as a total contrast. The island has no cars and therefore no traffic in the common sense. Goods are transported with animals or on foot. 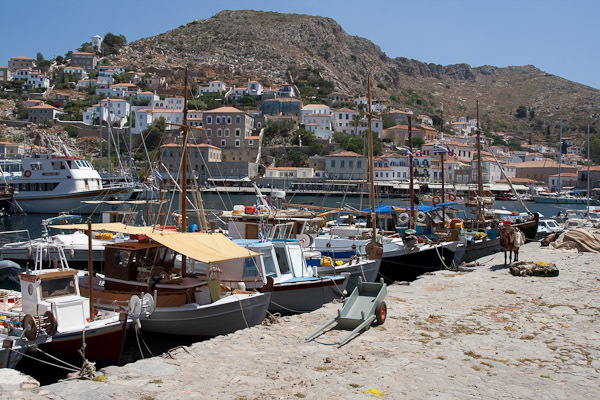 The harbor lays like an amphitheater within the rocky terrain. ships anchor in the tiny harbor. 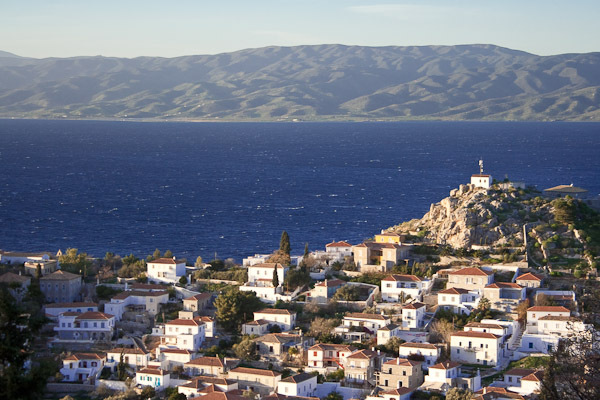 The islands lays opposite of the Peloponnese and is surrounded by little islands which provides a picturesque scene. The village is small and quiet, only in August tourism pick up a bit. The strong position Hydra held under the Ottoman regime can be still understood looking at Hydras architecture and mansions. 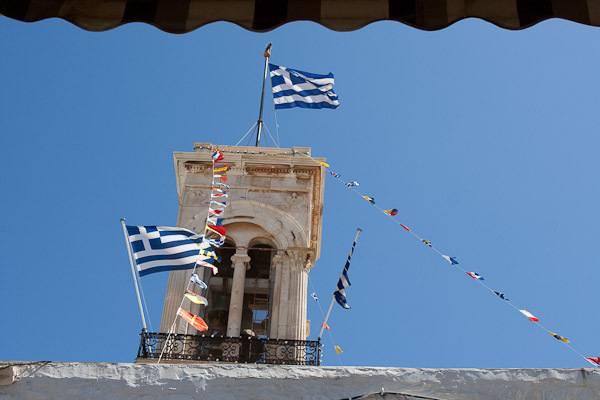 The old town is preserved very well for Greek standards. In the harbor you will find plenty of taverns, coffee shops and shops but also the fishermen doing their work in the morning hours. The island is protected from mass tourism due to strict archeological laws and the fact that it has no beaches. You enter the water directly form the rocks, the sea is deep and blue and most of the time crisp and clear. 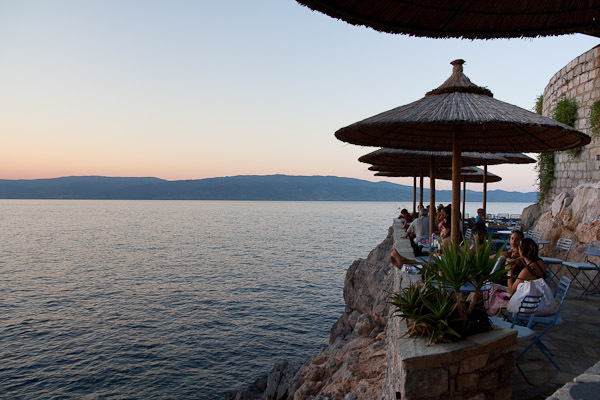 Sunset is best seen from the Hydroneta bar, situated just a few meters above the sea level, when leaving the harbor walking towards the village of Kaminia. It is easy to find taverns that are not touched by tourism. Once you go to the market place in the evening you will find to pigadi, which is a little family run business. Here the mama is still cooking local dished and the son and the father take care of the well being of the guests. You will not find a big choice of food but small fresh fish and a few delicious meat and vegetable dishes are enough to feed you in the hot climate. 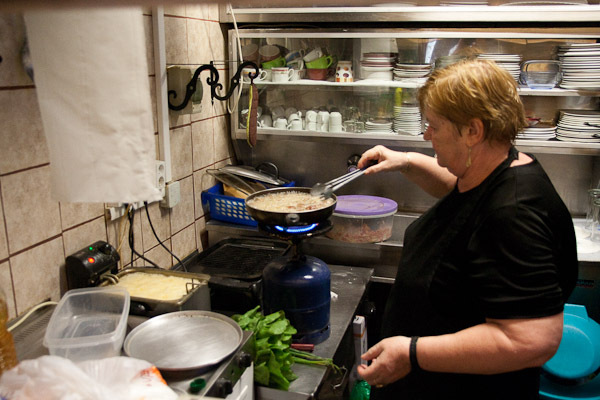 Here food is prepared fresh every day and you eat with the warm atmosphere the family is providing. 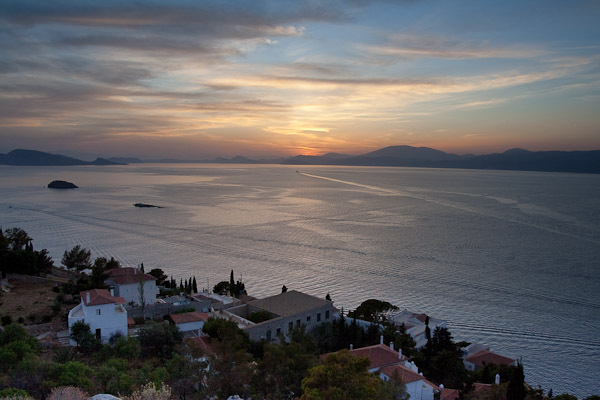 Last but not least a look towards the Peloponnese, Ermioni and the island of Dokos. What a splendid place! I’d love to sit on those terraces! no beaches yet the sea; I would say that would be a draw for me; looks like these tavernas are very welcoming!